From Medscape: “Amphetamine-related hospitalizations more than tripled from 2003 through 2015, and related costs hospital costs rose fivefold, new research shows. 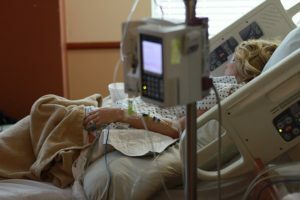 Investigators used hospital discharge data of a nationally representative sample of more than 1.2 million U.S. adults and found that during the 13-year period from 2003 through 2015, amphetamine-related hospitalizations rose from 59,600 to more than 206,000. The number of hospitalizations that involved both opioids and amphetamines was six times higher in 2015 than in 2003. ‘Amphetamine-related hospitalizations increased over 270% between 2008 and 2015, and, although opioid-related hospitalizations were more common, amphetamine-related hospitalizations increased to a much larger degree,’ said [lead study author Dr. Tyler] Winkelman. ‘After accounting for population growths, amphetamine hospitalizations grew 245% between 2008 and 2015, whereas opioid-related hospitalization increased only by 46%,’ he added. He noted that amphetamine-related hospitalizations were more likely to be covered by Medicaid and to have occurred in the western United States. But they said it was safe to start drugging kids with amphetamines at a young age !! Anyway its no coincidence that 30 years after they started mass drugging in schools we now have mass addiction and mass overdoses. The medication generations have grow up. I would write LOL if your words weren’t so profoundly true and accurate. They’ve created a monster but now they don’t know how to control it or what to do with it when it comes home to roost on their doorstep. They’re certainly not going to take any of the blame for what they created and still support. I would write LOL if the data were believable. Having been victim of medical error and treated in a drug unit unceccarily for two weeks in 2008, I no longer trust any of the numbers. They claimed I had PCP in my drug screen and then accused me of stealing ketamine from a veterinary run clinic when they found out I rescued cats. The whole situation was made even more ludicrous by the woman screaming like a banshee and beating on the door of the next psych ER cell while I was sitting there talking calmly and reasonably with the staff simply trying to get a medical clearance for the trauma unit. Instead I was diverted to the drug unit in another city and held against my will for two weeks. Considering the amount of deaths attributable to medical error, and the number of discrepancies in data sets, I say shrug, who cares. Of course, lots of people are taking all sorts of drugs these days – legally prescribed or otherwise. Until you close the revolving door between pharma and fda, nothing will change. Proof in the pudding is the new opioid just got approved under the guise of battlefield treatment when there are cheap effective options already available. And this one was sponsored by the defense department in case you wondered how your tax dollars are being wasted for more war. Actually, more are killed by properly prescribed and administered pharmaceuticals than by medical errors, by a fairly large margin. Which is not to minimize the damage due to errors, but to emphasize that NORMAL MEDICAL CARE IS DANGEROUS!